If you had asked this writer on February 5 if I would be flying to Chicago nine days later on the eve of the Nation of Islam’s national convention (known as “Saviour’s Day”), I would not have known what you were talking about. Yet by February 7 I had a plane ticket and a hotel reservation. Something approaching the miraculous clung to the whole of my peregrination among the black Muslims of America. My relations with the Nation of Islam begin in the 1990s when I assisted a remarkable black scholar, Tony Martin, PhD. Dr. Martin was a native of the island of Trinidad where he was educated by Catholic clergy. He become a barrister in England and eventually Professor of African studies at Wellesley, the elite women’s college in Massachusetts which Hillary Clinton attended years before Dr. Martin arrived, and where the scions of wealthy Americans, including a notable percentage of Judaic parents, send their children. Dr. Martin had the knowledge, oratorical ability and teaching expertise to have very likely climbed the ranks of black American academics and assumed a place next to or surpassing Henry Louis Gates, the current star of that firmament. During his ascent up the career ladder, Martin encountered the Nation of Islam’s two volume masterpiece, The Secret Relationship Between Blacks and Jews, which demonstrates the explosive revisionist fact that the holocaust against blacks in America, otherwise known as their epoch of enslavement on these shores, was a Judaic operation. Martin made the intrepid decision to introduce The Secret Relationship volumes to his students. We hesitate to employ the shopworn cliche, “Then all hell broke loose,” but nothing else is so apropos to describe what happened next. The persecution of Professor Martin was underway. I recall him telling me how his Judaic students, out of the egoism which had been imparted to them (through no fault of their own) by their parents and culture, were shocked and incredulous in the face of the facts he presented. “We’ve never enslaved anyone! We’ve always helped African-Americans” was their refrain, which proved to be futile in the face of the truths which steam-rolled their illusions. Too often what do Zionists do when truth confronts their dogma? They persecute and they censor. Dr. Martin recounts the ordeal in his classic book: The Jewish Onslaught: Despatches from the Wellesley Battlefront. Over the course of many years he began to speak at mostly white revisionist history functions sponsored by Paul Fromm in Canada and at David Irving’s annual conference in Cincinnati, which is where this writer met him and we began to collaborate. In the course of our friendship Dr. Martin put me in touch with the Historical Research Department of the Nation of Islam, the eminent scholars responsible for The Secret Relationship books. The persecution of Dr. Martin lasted for years until finally, with his health declining, he took an early retirement and returned to his native Trinidad, where he died in 2013 at age 71. When it occurred to me that Providence was directing me to the Nation’s 2019 conference in Chicago, Feb. 15-17, I contacted a member of the Historical Research Department and he arranged for free passes to all convention seminars and workshops and a VIP seat at Minister Farrakhan’s keynote speech at the United Center, a large facility which is home to the Chicago Bulls NBA basketball team, among other events. Here in my home base of Idaho I wrote a speech in advance, just in case, but there was no firm indication I would be a speaker. No one in the Nation of Islam had ever met me, so this was understandable. Security and prevention of sabotage are uppermost in the minds of those who guard and preserve the legacy of the organization, and the life of Farrakhan himself, who has been credibly threatened with harm on many occasions. When it comes to him, the Zionists and Talmudists are meshugganah (crazy). I arrived in Chicago on Valentine’s Day, February 14. A chauffeured SUV worthy of the presidential motorcade met me at the airport. The efficiency and professionalism not only of the people assigned to protect my welfare and ensure my well-being, but also the average member of the Nation, was exceptional. In the course of interactions with the Nation of Islam throughout the weekend the degrading stereotypes about black people dissolved and what you saw before you was the fulfillment of the black potential which has been crushed down, as I have seen it also crushed in the very poorest white areas of America, where whites who regard themselves as “redneck white trash” sink deeper into the despair of drugs, alcohol and self-extinction. Tragically, poor white America has no national leader or healer comparable to Louis Farrakhan. A few hours later I received word that I would be dining with the Minister in his private residence. Although I cannot say with certainty, I believe this invitation was due in large part to the faith and trust of my principal friend in the Historical Research Department who I presume helped to arrange it. I had a gift for Mr. Farrakhan which I thought would be delivered by an intermediary. It was one of the last seven surviving copies of the first hardcover edition of my book Judaism Discovered. I also prepared for the Minister a dossier on the impact of Talmudic halacha (law) on American policy. At the residence, we arrived at a foyer where about a half-dozen security men searched my briefcase and my person, after which the door to the entrance opened and there seated before me in the living room was a smiling Louis Farrakhan and approximately eight members of his inner circle. I presented him with my book and the dossier and he thanked me and asked me to take a seat. Mr. Farrakhan is a more extraordinary individual than many people can imagine. Yes, I know of most of the malicious rumors about him: hater of white people and “Jews,” follower of Scientology, supporter of Donald Trump, blah, blah, blah. Nevertheless, this is a most amazing man — a man who is a lover, not a hater. For some blessed reason he called me forth to dine with him and the overwhelming truth about him is his love. We had a good laugh about the “hater” label the Zionist press has pinned on him. This is rendered especially risible in light of the fact that due to my surname it was first assumed among Nation members that I was Jewish. How was this “Jew” treated? I was accorded the warmest respect. This was no less true when it was learned that I was a Christian, but for the several hours that I was regarded as a Jew the love did not lessen. If anything it increased. The respect was patent. This fact puts paid to the media lie that Louis Farrakhan hates Jews. Minister Farrakhan proceeded to engage me in a serious discussion of theology, philosophy, science, politics and classical music (he is an accomplished violinist). His inner circle listened with respectful interest. For the first hour-and-a-half or so the evening consisted of an exchange between myself and the Minister. 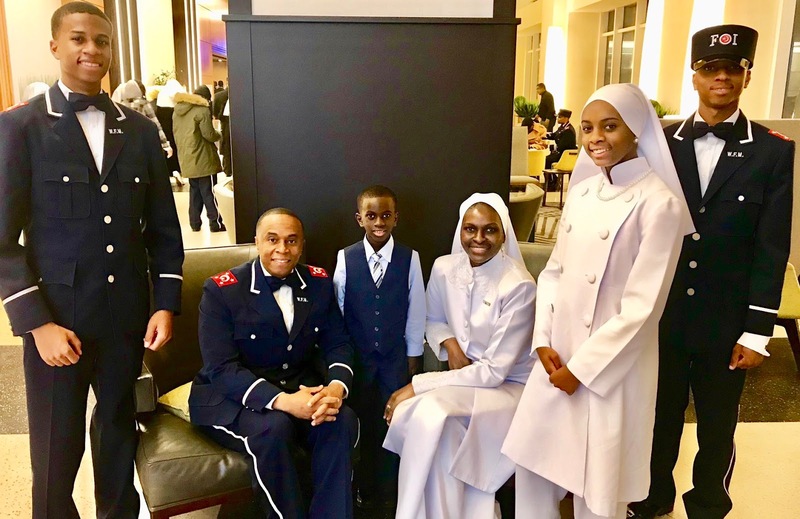 Eventually we made our way to a well-appointed dining room and a feast prepared by Minister Farrakhan’s personal staff, based on healthful food principles pioneered in the 1940s by Elijah Muhammad, the first leader of the Nation. So what did I learn that night? I can say that I learned that the Islam of the Nation is not a carbon copy of Shia or Sunni Islam of Arabia, a point for which they have been criticized and dismissed as an ingénue phenomenon by some in the Arab world. The Nation is a reform of Islam. For example, for Minister Farrakhan, Islamic terrorism is always suspect in that it is believed to be of deep cover Zionist origin. He is not suggesting that every bomb exploded by a hothead was handed to the bomber by Mossad. He is saying that the extended terror operations witnessed in the ranks of ISIS for instance, are indeed Israeli black ops. This pseudo-Islamic violence is in contrast to the corps known as the Fruit of Islam, the Nation’s security and service wing whose members carry no firearms and yet managed to render many of America’s federal ghetto housing projects safe, until the Zionists forced the U.S. government to curtail or terminate security and safety contracts with Farrakhan’s organization. The Nation of Islam is beloved in the inner cities not so much because the poor black residents know or care very much about the contents of the Talmud, but because the Muslims help to ensure their safety and operate programs which heal and restore seemingly incorrigible drug abusers and prisoners convicted of serious crimes. The Nation’s record in the field of behavioral science is remarkable and no amount of media libel will cancel that achievement in the minds of America’s most downtrodden black people. The Nation of Islam’s view of Muslim theology is most refreshing. Over dinner Minister Farrakhan informed me of the reform of Islam. His is a broad view, rooted in the Koran surely, but with a desire to assist true Christianity (as opposed to the Zionist Churchianity practiced by a large majority of America’s so-called followers of Christ), and to liberate Muslim women from unnecessary and trivial restrictions on their freedom. Those who are suspicious will say, Hoffman you are so naive. This is all just a charismatic front. Farrakhan hypnotized you into thinking the Nation of Islam is a humane, tolerant organization. Well, in point of fact, they are not tolerant of oppressors. They are not tolerant of liars. They are not tolerant of white liberals who claim to be “color blind” when it comes to race. I’ve lived long enough on this earth to know that example trumps precept. If Farrakhan’s precepts were at variance with the example set by his people, I would agree the Nation of Islam is a hoax. But in this case the way they live their lives matches their precepts. In other words, when it comes to that all important litmus test, they practice what they preach. Anyone who has witnessed the agony of the black experience in America: the waste of talent, the waste of potential, the waste of what God intended these people to be, cannot help but be deeply moved, if not astonished, at their transformation under the leadership of Farrakhan. If you can find a more honest, upright, decent and respectful family-oriented person than the members of the Nation of Islam, tell me about it. I know of no group of people who surpass them in these qualities. The Zionists have ensured that Farrakhan and the Nation are never humanized. We are not allowed to see their humanity. We are incessantly told that Farrakhan “is a hater” and the Nation of Islam consists of scowling, anti-white fanatics and so we execrate them. Furthermore, the Nation’s reform of Islam that the Muslim world should be heeding is in some cases going unheeded because it originates with black people. Wait a minute Hoffman! What the Muslim world needs, is Jesus! Which Jesus? I ask you. The Jesus of the money-grubbing, Israeli-army worshipping, Bible-nullifying television preachers? Where will the Muslim world find the real Jesus — among Khazar-idolizing mercenaries who staff many of the churches in America? The Jesus of the time-selling usury bankers of the post-Renaissance Church of Rome, and those Protestant so-called “Bible Churches” that guarantee that the love of money through the engine of the rental of money will continue to rule this nation — is this where the Muslims will find Jesus? One of his closest collaborators is a white Catholic priest. That priest and a handful of Chicago-area Protestant ministers were on the stage with him, seated in places of honor at the United Center. Farrakhan is not operating a black version of the KKK. He is endeavoring to show the world another, better way for all races to share this planet together, though he minces no words concerning what he believes are white people’s delusions, as for example white liberals who say they are “color-blind.” He destroyed that pompous conceit in his Saviour’s Day speech. In the last hour of our conversation, as the dinner was concluding, the other ministers of the Nation of Islam put forth questions to this writer about the Talmud of Babylon and Orthodox Judaism with the eager enthusiasm of university students. They did so in a manner to which I was unaccustomed. I have dealt with executives in publishing and I have met with businessmen and industrialists in my lifetime. Some were nicer than others, but almost all had that aura about them often termed “putting on airs,” which important people sometimes project, if only subconsciously, as a matter of habit, or as a result of the routine deference to which they have grown accustomed. Here I was among the Nation of Islam’s executives, yet they approached me as an equal, anxious to take advantage of a guest’s expertise, with no hint of a haughty manner. Here was real humility from Louis Farrakhan and his counselors. In this relaxed ambiance, Minister Farrakhan spoke of his own life experience and how much he admired Judaic genius, and Judaic accomplishments in fields such as classical music. He mentioned with obvious pride that every one of his three violin teachers was a “Russian Jew.” They trained him well, because this is a musician who would have been in a symphony orchestra had he chosen a different path. We spoke of popular music and female vocalists. He volunteered that his all-time favorite was Barbara Streisand, with Celine Dion a close second. I’m not sure I can convey precisely the Minister’s abundant wisdom, wit and playful humor, his desire to make the other person look best and the close attention he gave to his guest’s every word. One stratagem of our enemies is to humanize themselves before the cameras so that we will believe that they are “just regular people” and “one of us” while they do all in their power to dehumanize Mr. Farrakhan, by turning him into a hate-vending machine by means of false editing and dishonest reporting that omits the human side and the modifying or clarifying statements with which he often accompanies his more austere statements. Enter into his presence and you will experience his palpable love. It may sound maudlin to say so, but I won’t shy away from opining that this was my life-changing experience, in the presence of this father-figure to the black man and woman and yes, by his own witness, to all of humanity. Before I departed his residence, as the Minister was about to retire for the evening, from a door in the dining room entered his beautifully-arrayed wife and daughters. Four hours ago I was a stranger and now I was invited into the bosom of his family. This is the soul of hospitality and trust, to be included into a family circle. This is what I experienced time and again over the long Holiday weekend from every Muslim I encountered: kindness and respect. The next day, Friday, February 15, a workshop convened in the Hilton Hotel ballroom, attended by several hundred people. It was titled, “Defending Farrakhan.” We heard from dynamic speakers, all of whom were skilled orators, most of them speaking without notes. I was particularly taken with the address of Minister Ishmael Muhammad, one of the 21 children of Elijah Muhammad. He spoke eloquently in defense of Pontius Pilate against the “new (philo-rabbinic) scholarship” that puts forth the canard that Pilate and the Romans were mainly to blame for the death of Jesus. He tore a hole in that deception and then proceeded to humble the men in the audience with a reminder of the much greater fortitude which Christ’s female followers displayed near the time of his death. 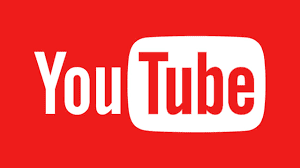 The audience at the “Defending Farrakhan” seminar were also treated to vintage video clips of from Minister Farrakhan’s speeches and encounters with the media, including on the day in June, 1984 that the United States Senate voted 95-0 to condemn him. After a break so the people could assemble for Friday prayers which are part of the religion of Islam (and which as a Christian I did not attend), in the afternoon we gathered in a smaller hall. There I had the honor to address a history seminar consisting of some 200 people, some of them scholars and researchers from the Nation of Islam, among them professors and PhDs, on the subject of Talmudic and Kabbalistic Judaism. After my talk, along with a distinguished panel representing the Historical Research Department of the Nation, we fielded questions. In my talk I pointed out that “The Root of Black Degradation runs from M to M — from Midrash to Maimonides.” I learned about the stigmatizing of black people in the Midrash (an authoritative rabbinic commentary on the Pentateuch), from the Nation of Islam’s own history scholars. The Midrash on Genesis assigns a skin color to Canaan, the son of Ham who is cursed by Noah to be a hereditary slave. The Bible assigns no racial designation or color of any kind to Canaan. From the Midrash came the horrifying teaching that it is the divine destiny of black people to be slaves, thus assuaging the conscience of the slaveholders. After all, you can’t argue with God. But as Louis Farrakhan asks, “Whose God?” Those who are familiar with the texts of the Talmud of Babylon know that the religion derived from that book is centered on self-worship. So-called Jews are their own God, and they invent their own dogmas in God’s name and impose them on the goyim. Moreover, Rabbi Moses Maimonides is the most admired rabbi, rivaled only by Hillel, in the eyes of the white liberal intelligentsia. He is their paradigm of the humanist, progressive follower of Moses. It matters not to these liberals that this most “distinguished humanist progressive” taught in volume two of the uncensored Shlomo Pines’ edition of his celebrated Guide of the Perplexed, that while black people cannot be called apes because they have the power of speech, they are nonetheless below the level of human. Once again, a rabbinic text became a justification for exploiting and chaining black people among Judaic and “Christian” slavers. Any society that has Maimonides on a pedestal, is a pathological satrap of the Sanhedrin. The unique qualities of the Nation of Islam are many. It is not only a doctrine, not only social activism. It is also a community linked by a network of families. White supremacy nearly managed to destroy those family ties. The Nation of Islam has been dedicated to rebuilding the black family. Those wholesome families were ever-present throughout the halls of the convention center and the hotel. Here’s one example of the community’s responsibilities toward one another: one evening I was invited to eat at a Middle Eastern restaurant with a few hundred people of the Nation. I dined with Dr. Ridgely, an agronomist who directs the Nation of Islam’s farms in Georgia. After dinner, as many of us were leaving the building, a young Muslim man of about 16 was ahead of us with what appeared to be his girlfriend. The young fellow thoughtlessly walked ahead of the young lady through the door. The Nation of Islam guard at the door then admonished the teenager in a gentle whisper, “You don’t want to do that. Let her always go first.” The youth nodded and corrected the situation immediately. Minister Farrakhan told me that the expression, “The devil is in the details” was of the devil himself; that the observance of details is all important, as it is to every member of this community, on any point from deportment to theology. It is evident that the Nation of Islam puts a high priority on the family and the sanctity of marriage. Then there is the imago Dei (image of God) which they exhibit in their demeanor, posture, attire and behavior. They possess a dignity born not from a government handout or an affirmative action program, but from the self-esteem they have earned for themselves by their hard work, modesty and through maintaining separation from the La Cesspool Grande that is the United States of America in the 21st century. Yes, one can find sterling family values at a conservative Catholic, Reform Presbyterian or Mormon convention just as easily. But can one truly say that in those venues for those churches, one will see an acute desire to know the identity and strategy of those who are oppressing us? Among all of those constituent factors which the Nation of Islam identifies with the white subjugator, they have singled out, correctly and astutely, Talmudic Judaism and Zionism as the chief culprits; not from a hateful motivation, but from the necessity of speaking truth as Jesus did. Jesus’ confrontations with the Pharisees are burned into the minds of the people of the Nation as if they happened yesterday. They live it and they breathe it. There were thousands of people at the conference and the vast majority were alert to these profound challenges. Can we honestly say that of any gathering just as large — of Catholics, Protestants or Mormons? The idea is preposterous. If those folks are agitated about anything external to their own religious piety, it will be the Islam that the Right-wing media have taught them to hate as the supposed enemy of Jesus. The authentic, number one enemy of Jesus, the Talmudic theology and its political, financial and cultural power, is relegated far into the background of these churches, if there is any consciousness of it at all. When I speak as a Talmudic scholar to the Nation of Islam, they are predisposed to hear me, to study my words and follow up by pursuing further education on their own initiative. This is priceless! This is what the Hon. Minister Farrakhan has inspired in his people. This is what makes the Nation of Islam unique among all theological institutions in America. I grant you that many Lutherans and Catholics of the last century were once alert to these issues, but that was long ago processed out of the thinking of their 21st century progeny. It cannot be processed out of the Nation of Islam however, because it is at the center of their thinking! They have a heart for study and book-reading. They yearn for knowledge like the man in the desert yearns for water. This is the legacy of the iron-willed Elijah Muhammad and of Louis Farrakhan. It is sickening to think of how much time is squandered at “conservative” Catholic and Protestant conventions and seminars where the top enemy is identified as Islam. These white people have almost no teachers (there are honorable exceptions: Dr. Chuck Baldwin, Pastor Herman Otten, Texe Marrs, Rev. Fr. Christopher Hunter and a few others). If they had a teacher he would convey to them this simple test: find out who you can’t criticize and you will discover who rules over you. Muslims are bashed day in and day out in the Right wing media, but believe it or not there is one religion that cannot be criticized. Muslim nations are openly hated and threatened with war. But believe it or not, there is one nation that is immune from radical criticism. You can deny the sanctity of Christ’s Blessed Mother and the resurrection of Jesus from the grave, and not a single government in the West will penalize you for it. But deny “The Holocaust” in Europe and you may be fined or imprisoned. Deny it in the United States and your job prospects and reputation will be toast. Hence, we know from these facts what counts for nothing and what is held sacred in the non-Islamic West. So the Protestant and Catholic kiddies play the “Gospel” and “Bible” game because they can’t stand the heat that Jesus promised He would give us the grace to withstand, and which He prophesied that truth-tellers would inevitably encounter (John 15:20). On Sunday came the next highest honor other than dinner with the Minister. I was called forth to address the thousands of people gathered at Chicago’s United Center and chosen to be the final speaker before Louis Farrakhan came to the podium. Many other qualified Nation of Islam leaders could have taken my place. I had been with the Nation for 72 hours. Some had been there for a lifetime. Yet not once did I encounter an envious glance, or an insinuation that I had usurped someone’s place, or that I didn’t deserve to be on the podium. When it was said of this writer, “He is Minister Farrakhan’s guest,” it seemed to be all anyone needed to know about me. At dinner the Minister had said that the waste of talent was the worst form of dissipation and that envy was the most grievous vice. I witnessed neither in my time among these Muslims. My speech was brief but it elicited a heartening response from fully alive human beings who are not accustomed to sitting on their hands when there are words of truth to be encouraged and acclaimed. 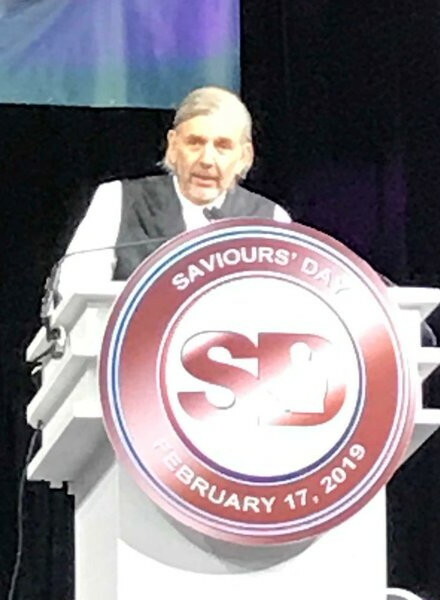 My brief talk was a reaction: ever since I heard the words of Farrakhan from the 2018 Saviour’s Day convention, when he defended Our Lord and Redeemer Jesus Christ from Talmudic blasphemy, I wanted to thank him and what is more, I wanted to publicly verbally whip the merchants of the Gospel, as Jesus whipped the den of thieves, who scurrilously rebuke Farrakhan while acting deaf and dumb in the face of Talmudic evil. The transcript of my brief remarks is printed below, so I will not repeat my words here. Suffice it to say that as I listed all of the millionaire “Christian” preachers who have never uttered a word contra the Talmud, or its teaching placing Jesus in hell in boiling excrement (tractate Gittin 57a in the Steinsaltz edition), the cheers and applause from the crowd grew louder. When I borrowed a signature phrase from Minister Farrakhan, in stating that these preachers and Vice-President Pence himself, had not the testicular fortitude to contest Talmudic blasphemy, I couldn’t finish my sentence, so stentorian was the cheering of the people who Zionist America has taught us to despise. As Farrakhan the year before had shamed the ancient rabbis who wrote of Jesus in such ugly and ignominious terms, I had accomplished my mission of publicly calling out those among my fellow whites, from the Vice-President on down the branches of the money tree — Joel Osteen to Franklin Graham — who are held to be the notable representatives of American religion, while Louis Farrakhan is cast into the same hell where the “sages of Judaism” have cast Jesus. As of this writing the media reaction to my speech has been shaped by an initial ADL report which other “evangelical,” Israeli and rabbinic news agencies have reprinted. What’s noteworthy about the ADL’s choice of words in the preceding sentence is that they decided not to report that I am an adherent and defender of an “ancient Jewish text,” specifically the Torah. The ADL chose not to report that my comparison of the invective against Jesus with the malice one might expect from the Satanic church, was a reference to a Talmudic text. The ADL’s avoidance of the word Talmud is highly instructive. It indicates that the reputation of the Talmud in the mind of the public, is already suspect. The ADL appear to have decided it is best not to report that Hoffman was referring to hatred for Jesus in the Talmud. Something like that would be too self-evidently true for the ADL to repeat to the news agencies of the world. It could backfire. Consequently, with their familiar “tricknology,” the ADL muddied the waters and despicably insinuated that I was equating God’s Word in the holy Torah, with the Church of Satan. Not so! I indicted the Talmud by name and clearly compared its diabolic teaching placing the Messiah of Israel in hell, with the filthy trash talk that one would expect from the Satanic church. This is accurate and I stand by it. As noted, Minister Louis Farrakhan followed this writer to the podium. He spoke for two hours about black history, the Talmud, the “white so-called Jews” (from Russia and Eastern Europe)—demarcating between true and false semites—exposing the Judaic masquerade, extolling the name Jew as divine, praising true Jews, and reminding his audience that the Holocaust of black enslavement is not allowed to be termed a Holocaust by the powers that be. Farrakhan has perfected podium performance as an art form. By this I do not mean to say that he is putting on an act. He gave up his increasingly successful show business career when he joined the Nation of Islam. He is utterly sincere when he speaks, and his addresses are in the category of classical oratory. He can tell a story, modulate his voice, gesture, shout, speak in a whisper, rise to a crescendo, for hours on end and with near photographic memory. Those of his enemies who reassure themselves that this is just the mesmerism of a skilled pitchman at a torchlit rally, are learning to their sorrow that this is in fact an inspired leader whose mind is suffused with truth. 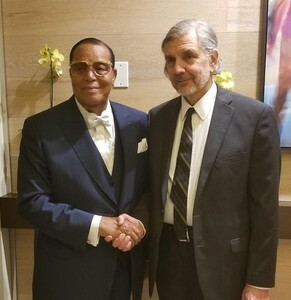 After my speech, for the rest of the evening and throughout Monday before my flight departed, I couldn’t walk twenty yards in the hotel or the courtyard, without being stopped and thanked by Nation of Islam people who were not ordered to do so. They wanted my business card and details about my books, but most of all they wanted simply to offer respect. None was more moving than the young man who could not have been older than 14 or 15 years-of-age, who offered me his gratitude with kindness and love in his eyes. For thirty-five years I have worked and prayed for the opportunity to give a speech to many thousands of open-minded and open-hearted people around the world, and it did not come to fruition until a black man who is a Muslim offered me the invitation. If we are seeking after an advanced model of humanity, the Nation of Islam is it. Those who are too prejudiced to accept a teaching from these exemplary black people because they are black, are to be pitied. It is written, “A prophet is not without honor except in his own country” (Mark 6:4) I am, of course, not a prophet. Yet after more than 35 years in the trenches, it has become obvious that my own people have plugged their ears and shaded their eyes. By God’s grace, Louis Farrakhan embraced my work in the field of Talmudic exegesis. I will not vouchsafe to question and quibble, as some undoubtedly will, over what I consider an act of Divine Providence. Rest assured that I bore witness throughout my time with the Nation of Islam to my Lord and Savior Jesus Christ, and was thanked, praised and blessed for it. To the extent that I can assist their educational endeavors in the future, I have promised to do so to the best of my ability. This essay is titled, “My Service to the Nation of Islam.” In medieval Catholic tradition, we revere the life of St. Francis of Assisi. In the year 1219, while the Fifth Crusade raged, Francis left his Catholic homeland in Italy and traveled to Al-massura, a military encampment outside the Egyptian port city of Damietta, to meet with the Sultan of Egypt, al-Malik al-Kamil Naser ad-Din Abu al-Ma’ali Muhammad, the fourth sultan of the Ayyubid dynasty. According to the first biographer of the saint, his contemporary Thomas of Celano, “Francis was treated very graciously by the sultan.” This too was how this writer was treated by the Honorable Minister Louis Farrakhan. 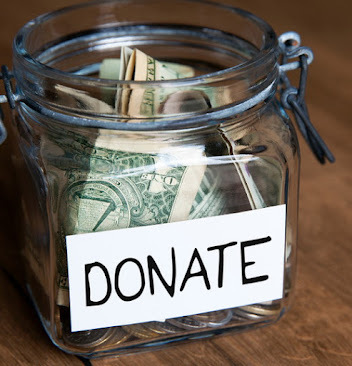 Legend has it that St. Francis made it his life’s work to spread Christ’s maxim, “It is more blessed to give than to receive.” In rendering service to the Nation of Islam, I have received much more than I gave. 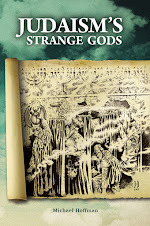 Revisionist historian Michael Hoffman is the author of the textbook, Judaism Discovered, and a condensed edition, Judaism’s Strange Gods: Revised and Expanded. He is a former reporter for the New York bureau of the Associated Press. His writing has appeared in the New York Review of Books and the New York Times. To the true Jews of all nations I say, Shalom. Bracha Hatzlacha. Salaam Alaikum. Thank you, Minister Farrakhan, for permitting me to speak at Saviour’s Day, and for your courage and vision. In February of 2018 the Research Department of the Nation of Islam, the scholars who are responsible for producing the magisterial revisionist history titled, The Secret Relationship Between Blacks and Jews, alerted me to a segment of Minister Louis Farrakhan’s Savior’s Day speech concerning the Babylonian Talmud. In that speech he made the controversial claim that the Talmud, which is the holiest book of Orthodox Judaic believers, contained the teaching that Jesus, the Lord and Savior of the estimated two billion Christians on earth, was in hell, being perpetually boiled in excrement. This is a thing so foul that one encounters it in no other theology or creed on this planet unless it were to emanate from the Church of Satan. No other religion teaches anything approaching what the rabbis of the Talmud have so savagely and pornographically taught about the Messiah of Israel. It was then that the impact of his words struck me. 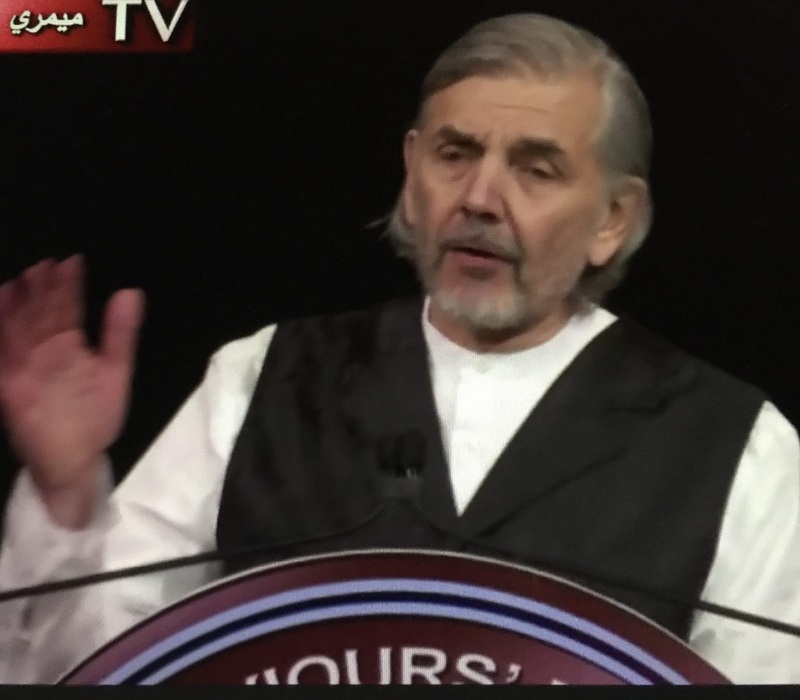 Here was a Muslim leader who is derided and castigated and dragged through the mud by the corporate media, who was pointing out what the prominent Christian leaders, such as Mr Franklin Graham, the son of Billy Graham, with all his million followers and millions of dollars, has not dared to say. What Christian leader Joel Osteen with millions of followers and millions of dollars dares not to say. What Mike Huckabee, Pat Robertson, Jerry Falwell Jr. and Joel Beeke have not dared to say in public to all the world. What Mike Pence, the so-called “evangelical Christian” Vice-President of these United States has not had the testicular fortitude to state openly in a public forum. Only Louis Farrakhan, a Muslim leader who is pilloried, libeled, disdained and denigrated by these so-called Christians, had the audacity to stand up to the powerful advocates of the Babylonian Talmud and broadcast to the world their disgrace and their shame, in blaspheming the Holy name of Jesus by placing him in a cauldron of boiling hot feces, forever, in what is known in Hebrew as גֵּי בֶן־הִנֹּם and in ancient Greek as Gehenna, and what we know as hell. They order the women’s (movement) to repudiate Minister Farrakhan, but when will the followers of the Orthodox rabbis be asked to repudiate the Talmud? Let us never accept that designation! We are lovers, not haters! We are the lovers of the Judaic people because the word Jew is a holy name. The Scriptures say, “Salvation is of the Jews.” The Judeans. We are willing to speak the truth about the beliefs of Orthodox Judaism, and that is an act of love, not hate. The haters of the Jews are the ones who keep them enslaved to the Talmud; those are the haters. The best friend of the true Jews on this earth is the Honorable Minister Louis Farrakhan.